WASHINGTON, July 30 (Reuters) - U.S. President Donald Trump said on Monday he would be willing to meet Iranian leaders without preconditions to discuss how to improve ties after he pulled the United States out of the 2015 Iran nuclear deal, saying, "If they want to meet, we'll meet." Asked at a White House news conference whether he was willing to meet with Iranian President Hassan Rouhani, Trump said: "I'd meet with anybody. I believe in meetings," especially in cases where war is at stake. On July 22, Trump said in a tweet directed at Rouhani: "Never, ever threaten the United States again or you will suffer consequences the likes of which few throughout history have ever suffered before. We are no longer a country that will stand for your demented words of violence & death. Be cautious!" Russian President Vladimir Putin and his Iranian counterpart Hassan Rouhani shake hands during their meeting in Sochi, Russia, November 22, 2017. Sputnik/Mikhail Klimentyev/Kremlin via REUTERS ATTENTION EDITORS - THIS IMAGE WAS PROVIDED BY A THIRD PARTY. Iranian president Hassan Rouhani attends a news conference in Tehran, Iran, May 22, 2017. 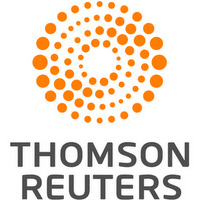 TIMA via REUTERS ATTENTION EDITORS - THIS IMAGE WAS PROVIDED BY A THIRD PARTY. FOR EDITORIAL USE ONLY. A few hours earlier, Rouhani had addressed Trump in a speech, saying that hostile U.S. policies could lead to "the mother of all wars." On Monday, Trump, speaking at a news conference with visiting Italian prime minister Giuseppe Conte, said: "I would certainly meet with Iran if they wanted to meet. I don't know that they're ready yet. I ended the Iran deal. It was a ridiculous deal. I do believe that they will probably end up wanting to meet and I'm ready to meet any time that they want to." "If we could work something out that's meaningful, not the waste of paper that the other deal was, I would certainly be willing to meet," he added, noting that it would be good for the United States, Iran and the world. In May, Trump withdrew the United States from the 2015 international agreement designed to deny Tehran the ability to build nuclear agreements. Since then Iran and other signatories have been working to find a way to salvage the agreement, even as the United States has begun reimposing some sanctions on Iran. World powers and Iran have been working on an economic package to compensate for U.S. sanctions that begin taking effect in August.